The Health and Safety Booklet HS(G) 70 -The control of legionellosis including legionnaires' disease, requires that water systems capable of transmitting the disease causing organism, are regularly cleaned to prevent conditions which allow legionella to multiply and to also allow water treatment programmes to work more efficiently. Particular attention should be paid to sludge, scale and bio-film formation, since build-up of these materials enhances the ability of the disease causing bacterium to multiply. 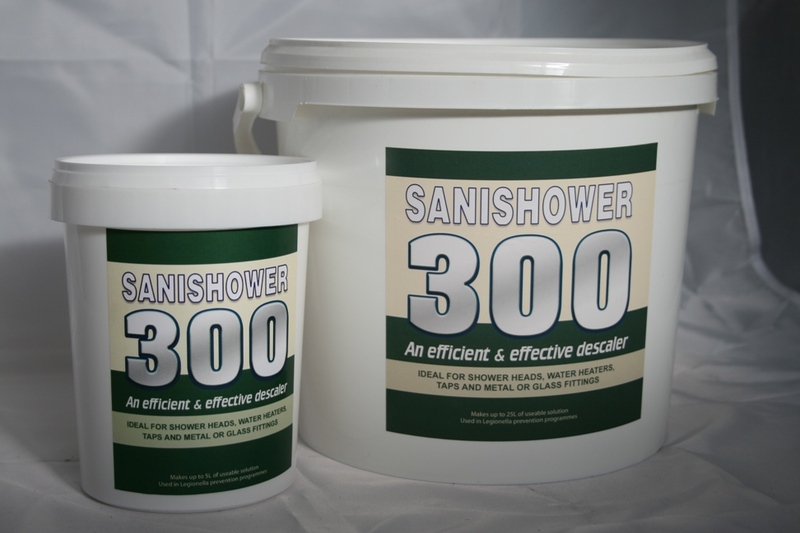 Sanishower 300 is supplied individually packed in 1 kilo or 5kilo plastic tubs ready for immediate use. Each 1 kilo will make 5 litres of active solution, which can be reused several times (depending upon levels of contamination) until the power of the solution is exhausted. 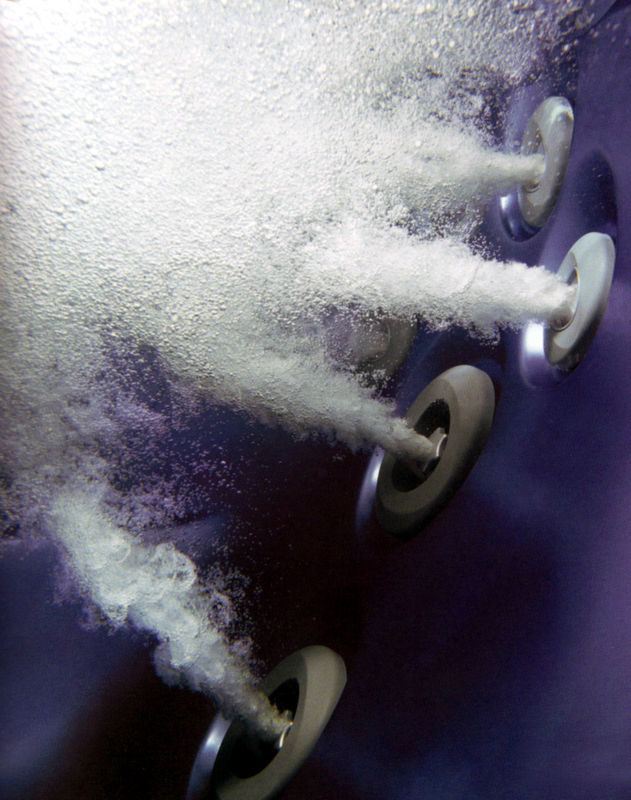 Early & regular use of Sanishower 300 will easily prevent build-up of scale in new installations, and continued use will ensure that the damaging effects of scale are further prevented.